The horses in our lives do so much for us and so we owe them the best possible care we can provide. In this age of constant information, there are so many choices for your horse's care so I thank you for taking the time to check out what I do! Natural hoof care is not just pulling shoes or trimming a hoof. It is about setting the hoof up for optimal use as nature intended through the use of hoof care, movement, diet and general lifestyle. My husband, daughter and I live in beautiful Poultney, Vermont. Each day is an opportunity for me to expand on my education and when it comes down to it, the horse will always be my greatest teacher. 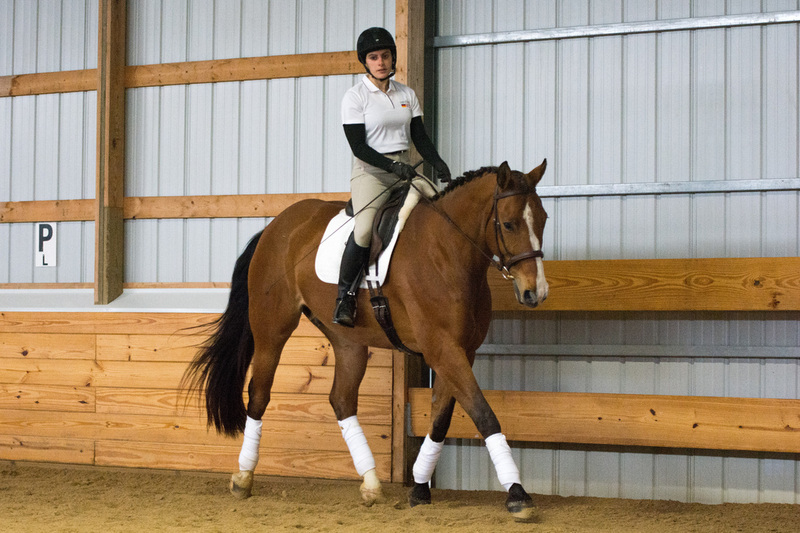 Riding in a 2014 Christoph Hess dressage clinic on my barefoot pal, Tucker.